Machine ‘Makes and Models’ we Service. Looking for a Technician to fix your photocopier or printer? 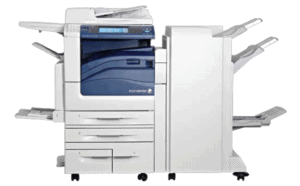 Maybe your copier or printer simply needs a Scheduled Maintenance? A1 Copiers has over 33 years ‘On Site’ experience and it is likely we have seen and or repaired the fault you are experiencing. We can help you get your machine up and running fast. Call us now or send an email. Get answers fast. E-mail a colour scan of the image fault you are experiencing. We can give you an informed answer as to the possible fault. We can visit your office* and give you a no obligation free and written quote. Better still, Click here for a FAST online quote. All work guaranteed. If it’s not fixed properly on the first repair, we come back and fix it for free! We service the Melbourne Metropolitan area. See Areas we service. Below are a list of machine models we service. If your machine is not in the list, email us and we will do our best to help you. Click here to see Makes and Models we service.